The Eagles wrapped up a three-year tour in support of the 2013 documentary, “History Of The Eagles”, in 2015. 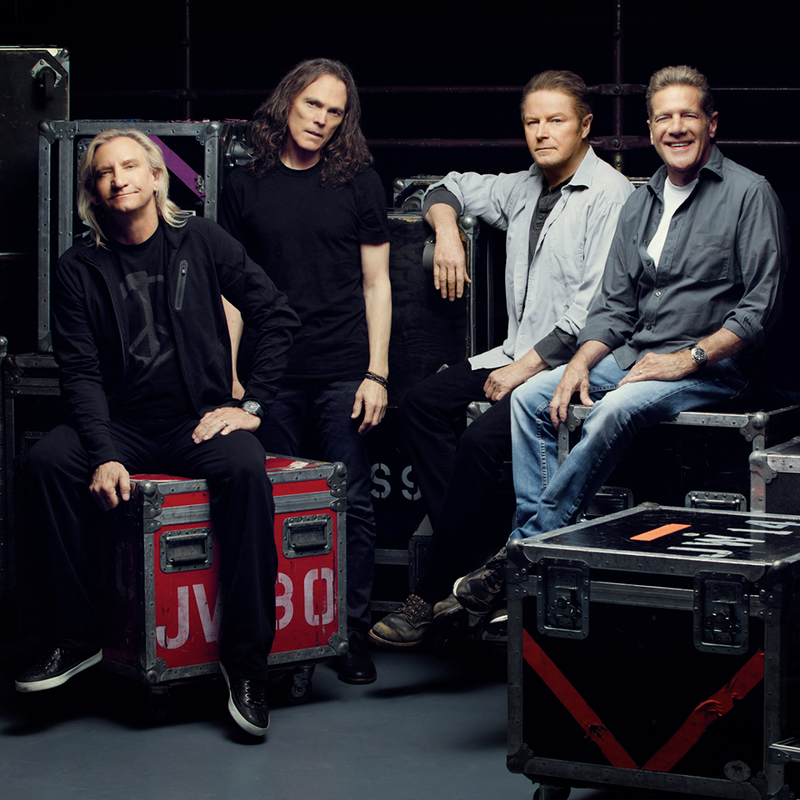 The band were scheduled to receive the Kennedy Centre Honors in November, but their appearance was postponed following news that guitarist and founding member Glenn Frey was to undergo major surgery to address a recurrence of previous intestinal issues, which would require a lengthy recovery period. Eagles manager Irving Azoff blamed Frey’s death, in part, on the medications he’d been taking for his arthritis since 2000. More sad news in the Eagles camp followed in March when Lana Meisner, the wife of band co-founder Randy Meisner, was fatally shot at the couple’s North Hollywood home when a rifle she was handling discharged accidentally. The distraught bassist made further headlines when he was placed under a 72-hour hold in a psych ward for threatening suicide after the incident. Meanhwhile, guitarist Joe Walsh teamed up with Bad Company for a summer US tour, with Henley hit the road for shows in Europe and North America that ran into early fall. The surviving members of The Eagles – Walsh, Henley and Timothy B. Schmit – regrouped earlier this month for an appearance at the 2016 Kennedy Centre Honors. Bob Seger, Vince Gill, Juanes and Kings Of Leon performed Eagles classics at the event, which will be broadcast December 27 at 9 p.m. EST on CBS.